Since the founding of Bulbby in 2004, we have appeared in the media several times. In The Netherlands, we were the first party that started producing gifts with a name printed on it. More than fourteen years ago, this was of course big news! Through the years, Bulbby has acquired more and more partners and you can find us very often in magazines, leaflets and online magainzes. Sometimes, you can even find Bulbby in the newspaper… Read this article: Bulbby in the media: a quick overview. In 2016, Bulbby had a slightly better reason to be in the newspapers. During the filming of our Valentine commercial, we met a journalist who asked us what we were doing. The Valentines movie can be found below. As we already wrote above, Bulbby can often be found in magazines. For example, sometimes we advertise in Dutch magazines. Sometimes the readers of the magazines receive a nice discount code. Bulbby often collaborates with blogs and other online influencers, for example with Budgetproof.nl. 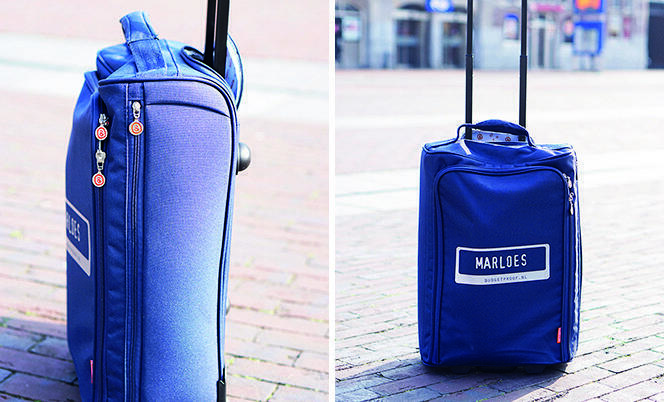 Marloes has reviewed our trolleys and made some pictures of them. Do you have a nice idea for Bulbby in the media? Mail quickly to marketing@bulbby.com!